The Week in HD - Monday 2nd April | What Hi-Fi? Hello everyone, welcome to another week of the best of HD and 3D films, TV shows, sports and Blu-ray releases. Martin Scorsese's Oscar-winning tribute to his love of cinema, and the history of film – this magical adaptation of Brian Selznick's best-selling novel is about Hugo Cabret, a clockmaker's son, who attempts to repair an automaton along with his friend Isabelle. 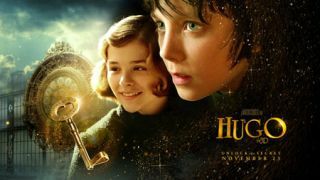 While it has Ben Kingsley, Christopher Lee, Jude Law, Sacha Baron Cohen, the true stars of the film are the enchanting young actors Asa Butterfield and Chloe Moretz. The North Remembers. HBO's addictive fantasy drama is back for a second series, with the seven kingdoms preparing for all-out war across Westeros. I still haven't finished season 1 (no spoilers!) but the epic Stark vs Lannister battle is surely going to get even more intense. And it won't be long before the rest of the kingdom becomes aware of Daenerys (and dragons!) Can't wait. A chance to refresh your memory on what happened in series 1 of this legal drama before it returns to BBC later this year. Maxine Peake plays Martha, a barrister on her way to become QC, all the while struggling with challenging cases and a complicated personal life. Also stars Rupert Penry-Jones. Well this is interesting. In this two-part programme, Peter Taylor looks at how spies are recruited today, and for the first time on television, we get to see current British secret agents talk about their work in MI5 and MI6. Steven Spielberg adaptation of Michael Morpurgo's novel about Joey, a young horse and his journey of being sold to the British cavalry during World War I, and the people who become enthralled by him. Personally, I love Topthorn, but both horses are the stars of this beautifully filmed (if slightly schmaltzy) story, which also has the talents of Jeremy Irvine, Benedict Cumberbatch, Tom Hiddleston, Toby Kebbel and Emily Watson. The Blu-ray contains a couple of behind-the-scenes and making-of featurettes. Second test, day one (continues rest of the week at same dawn hours). Tea Leaves. Jon Hamm makes his directorial debut with this episode, which sees SCDP attempt to build on its current business, with Peggy given new responsibilities that she probably won't be thanked for. Elsewhere, the boys butter up a new client. The first series of this slick drama about corporate lawyers ends with Harvey battling the district attorney to free an innocent man, while Mike's old friend Trevor comes back and has something interesting to tell Jessica. The second season airs later in the year. After last week's kitchen/bathroom appliance fiasco (and a hilarious goodbye to Maria and her neon eye shadows), this week it's all about condiments. It's ketchup versus chutney, we kid you not. Live comedy and current affairs show hosted by David Mitchell, Charlie Brooker, Jimmy Carr and Lauren Laverne. White it can be hit and miss at times, it's definitely worth tuning in just for Mitchell and Brooker's brilliant rants. Everyone loves Adele. So here's a great chance to see part of her international tour, with all the familiar songs from her chart-topping albums 19 and 21. Famous Last Words. A personal favourite, Castle is a quirky and lovable crime drama that's easy to rewatch endlessly. Nathan 'Captain Mal' Fillion and Stana Katic solve whodunit murders that get increasingly strange and inventive, all the while peppering dialogue with pop culture references. In this series 2 episode, Castle and Beckett hunt the killer of a teenage rock star, who may have hiddles clues to solve the case in the lyrics of her last song. One of the most famous animals of the Ice Age, the woolly mammoth has fascinated scientists for years, despite being extince for thousands of years. Incredibly, whole carcasses of these elephant's ancestors have been left preserved in the Siberian permafrost. Professor Alice Roberts spends the better part of this hour showing us how these animals lived in extreme conditions, and also uncovers a new skeleton of the woolly mammoth. Live coverage of the final round of The Masters as golf's first major of 2012 is decided.